In this writing I will briefly discuss what a good Christian teacher is and what a Christian teacher is not. Many people who graduate from seminary dream of being a good teacher to advance the knowledge of seminarians, congregations and Disciples of Christ in order to grow the church. I will briefly highlight three point” The Teacher As A Leader, Having Strong Communication And Learning By Demonstration. A teacher is a leader that is willing to be lead by others. A leader is also a teacher that is willing to demonstrate that they are capable of learning as well. A teacher must take a role in developing, expressing and engaging others. What makes a Christian educator great? A Christian educator is a person who is willing to give instruction in biblical and theological studies as they live their life as an example for those that are willing to be lead by you through Jesus Christ. The teacher shows confidence within their students as to learning to have confidence for those who is willing to be teachers also. They must have strong communication skills in order to get their point across so that they can be clear of what they are saying to those who follow them. What I have learned from teaching is that I had a great teacher who taught me well because I understood what he told me. I also learned by demonstration. The primary focus of teaching is to teach not only what you know but to teach how it can be done. A gymnast can never know how to use a parallel bar unless he or she is taught how to use it effectively. Using a parallel bar without demonstration will be a result of injury. A good teacher is not an individual who doesn’t study progressively on an ongoing basis.They will use their time to learn and develop a spiritual relationship with Christ. As they continue to grow their lifestyle will reflect what they teach. Teacher does deceive their flock and ought to lead them astray. Your position is to lead followers to Christ. The teacher is not prideful not boastful about how much they know. They are humble and will be an example on display to the world. In my conclusion a teacher must exercise good character because his personal behavior must be of the true sign of what is to be a leader. It is their outward expression of God’s word is one of the sure signs of human behavior and character of a Christian. To achieve this way of life a person who is saved must be a living example of what it means to be a true Christian in the faith. Your personal walk with Christ will demonstrate how much you really love a person whether it’s a family member, friend or relative. As a teacher he or she will present themselves as being a person of integrity. This entry was posted in Faith Building, oneworld01, Uncategorized and tagged Christianity, Facebook, faith, Faith and Leadership Journal, faith leadership, Omar Liles. 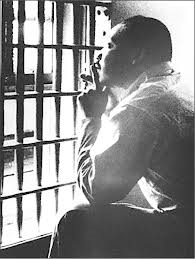 On April 8, 2014 Civil Rights Leaders and Organizations in Florida and California will unite in effort to “Restore the Balance of Justice” to Communities. Multiple Civil Rights, Faith based organizations and Social Justice coalitions are coming together in a “Multi National” cooperative on April 8, 2014 to begin the work in Restoring the Balance of Justice,” to communities across the country. On Tuesday April 8, 2014 at 9:30 am hundreds are expected at both the State Capitol’s of Florida and The California State Capitol as “sister rallies” to “take a stand,” and to question, also combat the senseless and growing community violence and as they are also in opposition of national level laws-that are negatively affecting communities. Their concern is centered but against issues ranging on everything from Immigration Violence to Police Brutality and everything in between. In both state’s Florida and California coalitions agree and see that the growing need for “Urban Leadership,” has emerged out of the reality of the poor, and the downtrodden and the negative effects are widespread in communities across the country for citizens who have to live in their existence seven days each week and 24 hours a day. The coalitions also believe that they could more or less address the core issues more efficiently and perhaps if they had “more” solid leadership to represent and advocate, them, also they urge that the “state of wellness,” may change, both nationally and worldwide. In Florida on April 8, 2014 at 9:30 a.m On the Anniversary of the shooting death of Trayvon Martin, an unarmed black teen, by a Hispanic neighborhood watch captain has prompted a global effort to combat Florida’s controversial law. The theme is “BREAK THE GRIP of Shame,” because in Florida The number of questionable cases is increasing, mostly defense attorneys are using “Stand Your Ground” or sometimes referred as (S.Y.G) in ways state legislators never envisioned. It (S.Y.G) has been invoked in dozens of cases with minor or no injuries. For example, It has also been used by a self-described “vampire” in Pinellas County, a Miami man arrested with a single marijuana cigarette, a Fort Myers homeowner who shot a bear and a West Palm Beach jogger who beat a “Jack Russell” Terrier to death. People often go free under “Stand Your Ground” in cases that seem to make a mockery of what lawmakers intended. One man killed two unarmed people and walked out of jail. Another shot a man as he lay on the ground. Others went free after shooting their victims in the back. In nearly a third of the cases, the Times analyzed, defendants initiated the fight, shot an unarmed person or pursued their victim — and still went free. Human Rights Leaders from around the State of Florida have been invited to participate in a multinational protest rally against, Stand Your Ground, and Police brutality starting in Florida with calls to hundreds of students from FAMU, Florida State University, Tallahassee Community College and joined members of the Latino, Arabic, and labor protection communities to answer the call to protest at the Florida Capitol in Tallahassee on April 8, 2014 this effort will be joined by similar efforts from around this country. Christian Leadership Conference went on to call Florida possibly the last “Birmingham” of the South,” he continued, saying that it may be time to put “boots on the ground,” which might mean going after the economic system in the state, though he did not specify how that might happen. The march is also had a strong emphasis on Community Violence against women, and immigrants. Example due to the rising amount of hate crimes against undocumented immigrants in Florida directed against Hispanics, Arab, and Muslims for the fourth consecutive year is particularly noteworthy and worrisome because the number of hate crimes committed against other racial, ethnic, and religious groups has over the same period shown either no increase or a decrease. 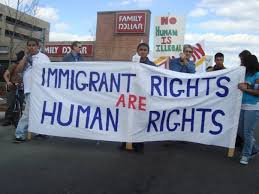 “We want to build a layer of protection, around immigrants, because we know that many are a target, and also they do not readily call for “police services because of their immigrant status.” Women are usually targeted due to domestic violence issues,: All must be combated, because they prevent us from being effective in communities across the country. Florida must “Break the Grip of Shame.” !!! For more information on the Break the Grip of Shame Rally! Freedom First International, and the effort to stop “Stand Your Ground” email-freedom1stsclc.gg@gmail.com or call (855) 612-7771 and leave a message. Over 21 families, are asking to California Attorney General Kamlia D. Harris, 32nd Attorney General of the State of California to review the “Policemen’s Bill of Rights” and police policy due to the rising use of excessive force by citizen murders. Oscar Grant Foundation, will be joined by over 21 families of victims murdered by Police and most of the “Police Brutality” murders. One notable case was the case of Oscar Grant III (above, right) who was fatally shot by BART (Metro Train) police officer Johannes Mehserle in Oakland, California, in the early morning hours of New Year’s Day 2009.Officer Johannes Mehserle and another officer were restraining Grant, who was lying face down and allegedly resisting arrest. Officer Mehserle stood and, according to his attorney, said: “Get back, I am gonna tase him. Then Mehserle drew his gun and shot Grant once in the back. During his court testimony, Mehserle said that Grant then exclaimed, “You shot me! Grant was unarmed; he was pronounced dead the next morning at Highland Hospital in Oakland. Grant’s Death and the incident are the basis of the 2013 film Fruitvale Station. Fruitvale Station” followed the last 24 hours of the life of Oscar Grant (Michael B. Jordan). The Oscar Grant Foundation has continued to work tirelessly for “just” cause the effort includes this rally. Go to view the following links for more information on the march. For more information on the California Rally! go to http://www.oscargrantfoundation.com or https://www.facebook.com/events/155737031274252 to sign up for the event. Fruitvale Station” followed the last 24 hours of the life of Oscar Grant (Michael B. Jordan). The Oscar Grant Foundation has continued to work tirelessly for “just” cause. The Growing need for Urban Leadership In today’s modern age-The growing need for Urban Christian Leadership has emerged out of the reality of the poor, and the downtrodden, in our society and in communities across the world who live in their existence seven days each week and 24 hours a day. If we would just imagine for a second the correlation between poverty and lack of leadership in Urban Communities across the country-Then we could more or less address the core issues more efficiently and perhaps we could say if we had “more” of solid leadership to represent us, then our state of wellness might change. What you can do to support this cause! This entry was posted in Benjamin Crump • Congressional Black Caucus • Denika Chapman • Emanuel Cleaver • FBI • Florida Department of Law Enforcement • Florida Department of Law Enforcement Commissioner Gerald Bai, Civil Rights, Gregg Greer, greggrreer, Human Rights, One World, oneworld, oneworld01, Police Kill, SCLC, Uncategorized, Urban Christian Leadership, Violence and tagged Benjamin Crump • Congressional Black Caucus • Denika Chapman • Emanuel Cleaver • FBI • Florida Department of Law Enforcement • Florida Department of Law Enforcement Commissioner Gerald Bai, Civil and political rights, Civil Rights, Facebook, gregggreer, greggLgreer, Human Rights, one world, oneworld01, Southern Baptist Convention, United States, world. 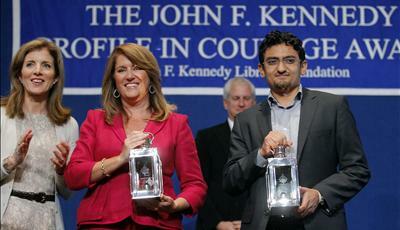 The amazing story of the 29 year old Google Executive who toppled the Egyptian Government using Facebook! Today Wael Ghonim reserves a special place in the more dubious history of Egypt as someone whom TIME Magazine calls one of the 100 most influential people of 2011. 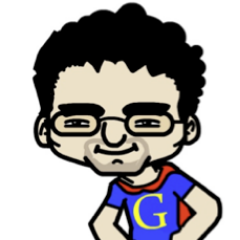 The reason Wael was given this title involves events the surrounding one date when the 29-year-old (now he’s 32) was working for Google Marketing division while living in Dubai. Ghonim the MBA educated then 29-year-old, Gained international prominence, when after viewing pictures of the Revolution in Egypt, specifically the gruesome and disturbing picture of a young Egyptian national named Khaled Mohamed, a 28-year-old from Alexandria, who was reported as murdered by the Egyptian Police during the Arab Spring riots. ‘Ghonim was so moved by the pictures that he then instituted a variety of social messages through a Facebook that he designed to diminish the threat to the then power 25th of Jan revolution structure of the Egyptian President Mohamed Morsi backed forces. The Ghonim Facebook page called “We are all Khaled Saeed“, was started, and within minutes hundreds of people had joined it. Three months later, that estimate had grown to more than 250,000. The Morsi lead “Egyptian Brotherhood” Party eventually fell apart due to their complete failure in governing to internal disputes. 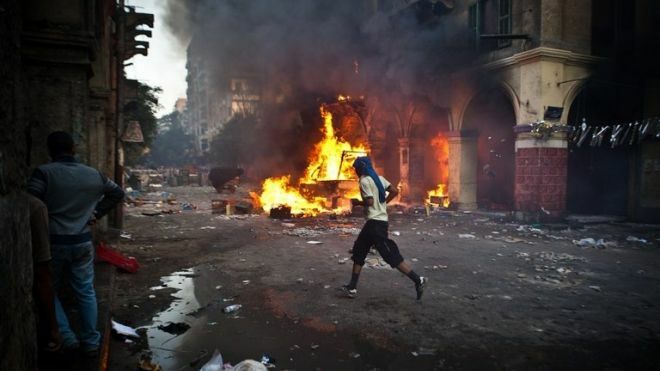 On July 2, 2013 President Morsi publicly rejected the Egyptian Army‘s 48-hour ultimatum and vowed to pursue his own plans for national reconciliation and resolving the political crisis. 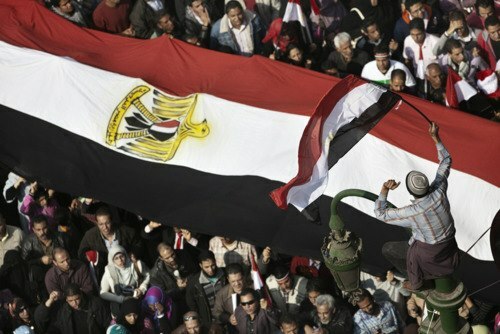 Within 24 hours Morsi was ejected from office by revolutionary forces. To date the rising death toll and increasing disorder in major Egyptian cities, eliminate the possibilities of a return towards anything resembling normalcy are very slim. 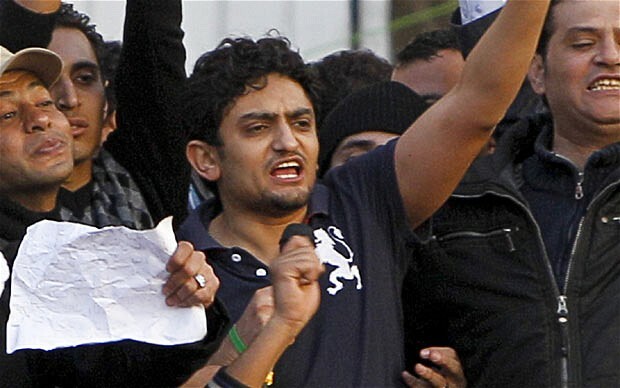 Ghonim, is credited because he anonymously collaborated with activists on the ground to announce the locations for the protest which was successful because he advocated a focus on community service linked with self-defense; which guided others, to embrace a less confrontational strategy. Also, Ghonim attributed his success to being able to openly criticize the Morsi Party Government by adopting a “reformist” rather than “revolutionary” strategy that focused on community service. This entry was posted in Ansar Muhammad • BART passengers • BART policeman Johannes Mehserle • Denika Chatman • fight for justice • film on police murders • first conviction of a killer cop in California history �, Civil Rights, Egypt, Egypt, Gregg Greer, greggrreer, Human Rights, One World, oneworld, oneworld01, SCLC, Uncategorized and tagged 2011 Egyptian revolution, Benjamin Crump • Congressional Black Caucus • Denika Chapman • Emanuel Cleaver • FBI • Florida Department of Law Enforcement • Florida Department of Law Enforcement Commissioner Gerald Bai, Egypt, Egyptian Army, Egyption Revolution, Facebook, George Stinney Jr. Youngest Person ever executed in U.S. History strong, Ghonim, Google, greer, gregggreer, greggLgreer, John F. Kennedy, Mohamed Morsi, one world, oneworld01, Revolution 2.0, sclc, sclc.org, Wael Ghonim.